Are timber bolts installed with a washer under the head of the bolt? 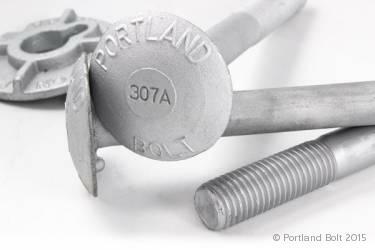 Timber bolts, also referred to as economy bolts in the Pacific Northwest, are designed with a round oversized head which eliminates the need for a washer underneath the head. The underside of the head has two nubs which bite into wood and prevent the head from spinning in the timber. The nubs under the head require a wood bearing surface to bite into, making a steel washer impossible to place in that location. Timber bolts are commonly used in marine application where the low-profile head creates a safer surface than that of a hex head if a boat or vessel where to collide with the head of the bolt. The name economy bolt is used for these parts because the large oversized head eliminates the need for an expensive malleable iron, ogee, or plate washer. I am installing some A325 bolts, and I am using direct-tension-indicator (DTI) washers. Does the DTI replace the F436 washer that I would normally use, or do I still use a standard F436 washer? Are washers required to be used with an A325 or A490 structural bolt? Are there restrictions on using extra washers to accomodate tightening a nut onto a bolt that may be a bit too long and the nut is running out of thread? Can you please tell me if you sell timber washers to Ontario, Canada and if so where could I buy some in the Brockville, Ontario area? I am looking for some 5/8 no 30 15 8 10 washers. Thank you. @Chris- We only have this location in Portland, OR, but are happy to sell the washers to you and we can easily ship to Canada. Just let us know haw many you need, and we’ll be happy to quote.